Miyaichisai. That's the official name. I just call it "a dress rehearsal before Tenno Sai." 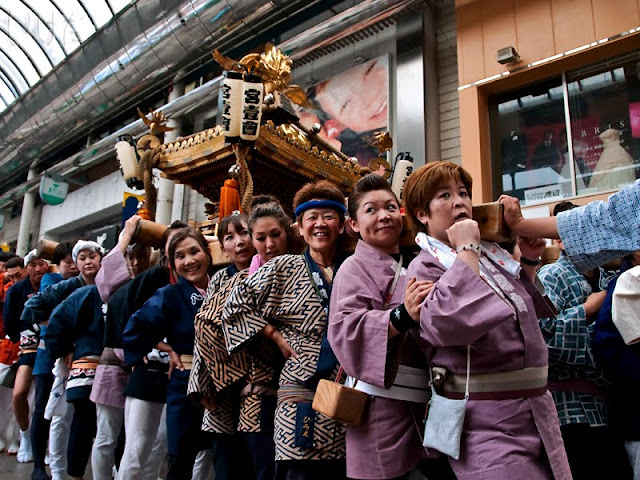 (Tenno Sai is a much grander festival, and it's coming up very soon). To see more photos from Miyaichisai, check out this post on our other blog. I love this photo....Look FUNNNN ! & full of happiness : )...Love this !!!! It's mostly women! You go girls! yeah, that's what I say - " You go girls!" And let me tell you, they were going!